Keith "KO Kid" Berry (15-13) is back, and he'll be fighting on arguably the biggest, most stacked fight card Bellator ever created. The 29-year-old California sensation collides with "King" Kevin Casey (9-5-1, 2 NC) on Jan. 21, 2017, at Bellator 170 at The Forum in Inglewood, Calif. 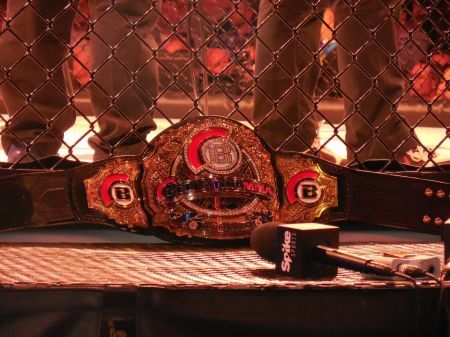 The scrap will be Berry's first cage-fighting appearance in over two years, and he'll be competing on a card headlined by Chael "The American Gangster" Sonnen and Tito "The Huntington Beach Bad Boy" Ortiz. Berry, a WEC, Strikeforce and King of the Cage vet, last fought at Bellator 127, all the way back in October of 2014. The "KO Kid" edged Joe Pacheco by split-decision at that show, but the result was overturned after news broke that Berry failed a drug test. Now at Bellator 170, the surging middleweight will look to get back on track against one of the toughest fighters in the division -- Casey, a UFC and RFA vet. Berry's Bellator 170 opponent is coming off a bizarre six-fight stint in the UFC, which included a draw and a pair of No Contests. The thing is, Casey only lost twice in his last six UFC starts. With just a pair of defeats in six UFC appearances since 2014, it was questionable for him to get cut from the roster. For that reason, fight fans can expect the "King" to come out swinging, in an attempt to prove he's a top middleweight contender. As for Berry, no one really knows what to expect from him. On one hand, two years away from the cage gave his body and mind some much-needed time to heal. But on the other side of the coin, cage rust is very real, and he's going to need some time to get comfortable once the cage door locks. The scrap between Berry and Casey is expected to go down on the Bellator 170 prelims, which means it could air on replay on Spike TV during the main card, time permitting.